What happens when you mix Kansas City’s most popular local microbrew with the city’s most coveted chocolate? You get a beer so popular that stores couldn’t keep it in the stock for more than a couple of hours. Boulevard’s collaboration with Kansas City chocolatier Christopher Elbow was a limited release. 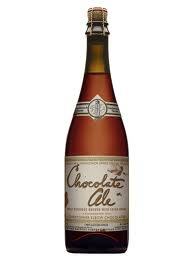 They only made 19,200 bottles of the chocolate ale, but even Boulevard says this craze has taken them by surprise. News spread fast Friday morning that Village West liquors actually had a handful of bottles of Boulevard and Christopher Elbow’s Chocolate Ale.